My new small group training programme is ready to roll! 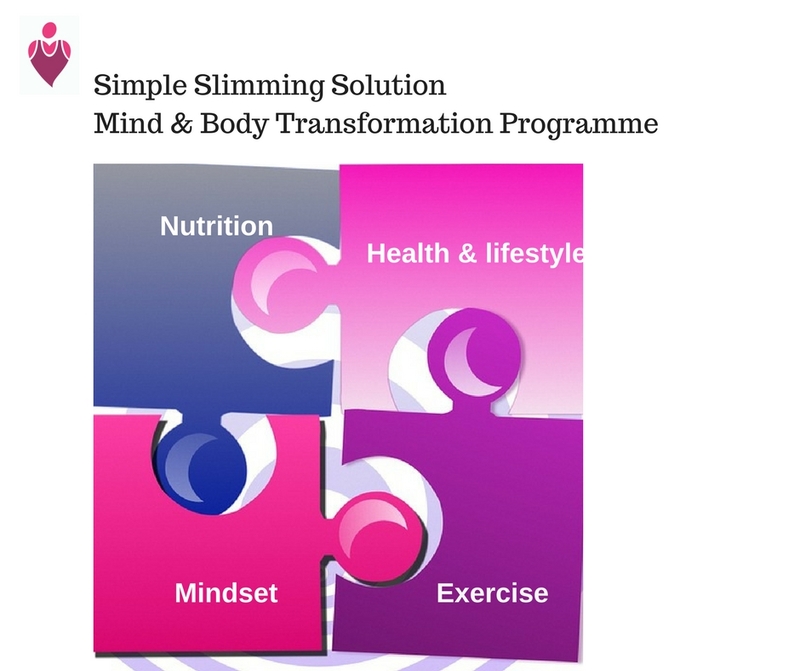 A 10 week mind and body transformation programme designed to cover all aspects of health & wellness that effect long term weight management – not just diet & exercise. Ditch the diet for good with my Simple family friendly meals, a fun flexible exercise plan and session by session motivation and coaching. Our group will meet each week for a 15 minute motivating discussion on some common culprits that can derail our best efforts at weight loss and the best tactics we can use to overcome them. Every week will be a different topic – the very same struggles that I see in most of my PT clients. We will also complete a fun 40 minute exercise session that will be suitable for all levels of fitness and I will tailor the exercises to suit your ability. You will also have access to some short, fun home workout videos to fit in with your busy lifestyle. Members will receive the SSS members handbook, recipes and menu planners plus access to our private facebook group so that you are fully supported at all times. And as a very special bonus, I am adding in access to any of my other exercise classes for FREE to give you that extra motivation to try and enjoy a variety of exercise sessions. This is a very comprehensive programme and I can’t wait to share the details with you. Once payment is complete you will automatically be registered. I will send you out your membership handbook, screening form and further instructions to ensure that you are prepared and ready to go on Day 1. Marie’s Small Group Training is excellent. I wanted something to get me fitter, healthier and looking overall better for a special occasion and, ten weeks later, I am far fitter, healthier and look and weigh less than I did 20 years ago! Although initially the Small Group Training was a fair financial consideration for me, it is probably one of the best things I have chosen to do and well worth the investment. Marie is encouraging, realistic and very practical. She pushes when needed and empathises when things go awry. Marie totally gets how hectic life can be. All of her meal and exercise plans can be easily fitted around everyday life with no need for hours spent at the gym or any calorie counting. The ‘whole-body’ approach of this course has helped massively with understanding about the effects of sugar, stress, hormones etc. on our bodies. This is knowledge that will last a lifetime.